Modern Maples quilt top is done! Blogged about it in previous post. Spiderweb quilt top is done! 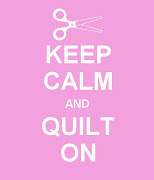 Pictures to come, probably when it's back from the longarm quilter. THE POISONER HAND BOOK ... will be released on Feb 4, 2014 on Amazon ( pre order available) Got it based on your recommendation... looking forward to seeing it as I LOVE CSI type stuff. Just want to say your material is as amazing. The understanding to your post is just great and i could believe you are an professional on this subject. Excellent with your authorization allow me to take your RSS nourish to keep modified with upcoming post. Thanks 1,000,000 and please bring on the satisfying perform. I had to laugh when I was listening to you talk about Massage Envy - as I was driving to Massage Envy! I think your hubby still gets lots of points for following up on your hint. I CANNOT believe you had Season 4 of Downton Abbey available and didn't watch it all right away! Ack! And you're still not watching it all! Send it to me, please!?! The Anna situation is killing me. I have to know RIGHT NOW what happens between her and Bates and how he helps her heal. I love Stephen West's patterns. I made a Daybreak shawl a while back and have had my eye on Metalouse -- that one's so pretty. Hi Tanesha! Enjoyed the podcast. Thanks so much for the link to the Adventures in Arting podcast. I have a few others you might like, if you aren't already familiar with them. For knitting, I enjoy listening to The Knitmore Girls, by a mother-daughter team. 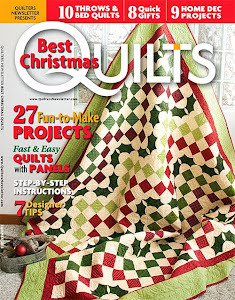 Bonus...the mother loves quilting. Art-wise, I recommend the Artists Helping Artists podcast and Smart Creative Women. Sorry, I don't know how to insert links direct to the podcasts but they're easy enough to google. I'm trying to be intentional about art this year, too, but I'm such an awful procrastinator. I'm wondering if you have that problem as well? I want to improve my skills but keep finding other tasks to put first. Just today, I ironed seven of my husband's business shirts to avoid sitting down with a pencil! It's hard to get started, but such fun when I get caught up in the drawing or painting. Tanesha, I liked what you said about the star ratings and how it is like a tip for a lovely listening experience. I need to do more of those. The class reviews were so helpful. One of my goals is to learn to draw a little bit this year. And Happy Birthday to - how can it be??? - 3 year old Maddy!